The regulatory bodies need to be capable of challenging themselves, their policies, and the institutions they are tasked with supervising: they need to question the status quo. This means a move away from the ‘light touch’ approach that encompassed the Financial Services Authority’s (FSA) regulatory philosophy, avoiding ‘box ticking’ and introducing the exercise of judgement when making decisions about the supervision and regulation of the banking sector. 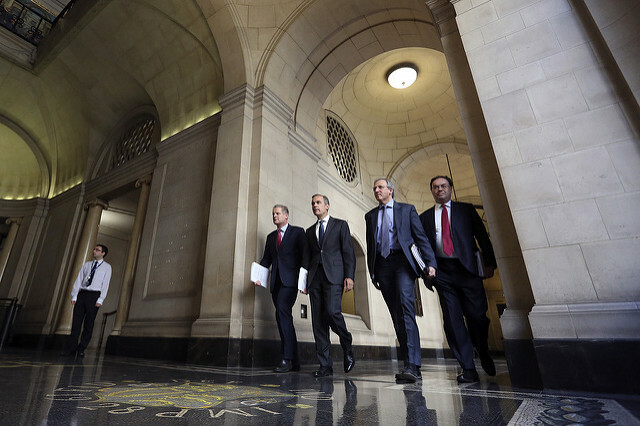 Before the financial crisis, regulators didn’t challenge the conventional wisdom. 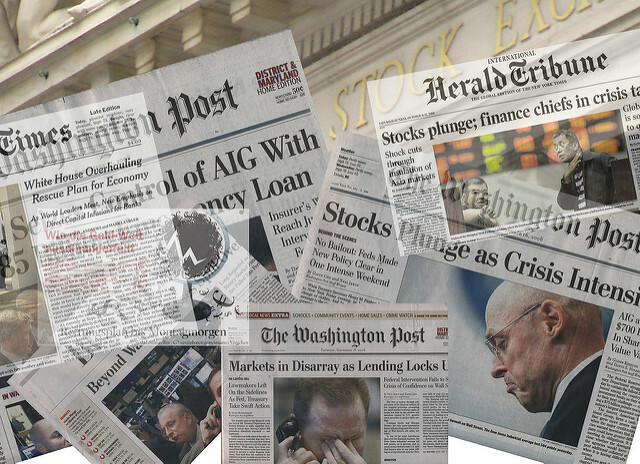 It was believed that markets were stable, and that institutions were unlikely to fail. There was very little focus on financial stability issues, a point reflected by the fact that (as highlighted in the report on HBOS’s failure) only one of 61 issues discussed by the FSA’s board in the build up to the crisis related to financial stability. The crisis itself highlighted the flaws in that approach. To avoid this in the future, regulators have to ask difficult questions of themselves, and of the regulated sector. Reforms have been introduced to strengthen the UK’s banking regulatory architecture. The now discredited FSA (the body responsible for regulating the banking sector at the time of the crisis) has been abolished, replaced with two new regulatory authorities – the Prudential Regulation Authority (PRA; originally a subsidiary of the Bank of England but which will eventually be housed within the Bank of England following reforms introduced in the Bank of England and Financial Services Act 2016) and the Financial Conduct Authority (FCA). The logic behind these reforms is that each body has their own clear remit, ensuring that they can focus on the pertinent issues that fall within their purview. 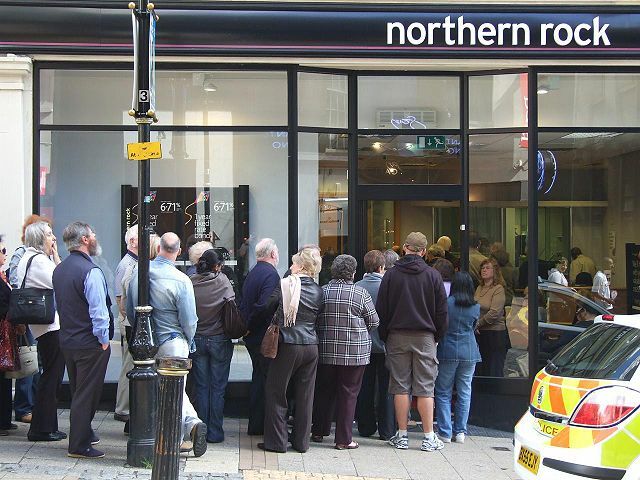 The PRA is responsible for dealing with the stability of banking institutions, while the FCA is concerned with the conduct of business elements – how banks deal with their customers on a day-to-day basis. However, on their own, these reforms are not going to be sufficient to ensure that the regulators are more effective at averting the next crisis. There needs to be a culture change if the regulatory bodies are to avoid the problems of the past. In October 2016, the New City Agenda think tank, in conjunction with Cass Business School, published a report on the culture of the new regulatory authorities tasked with overseeing the UK’s financial services sector. Given the emphasis on changes to the regulatory approach after the financial crisis, this is clearly an important issue. As the New City Agenda report itself states, ‘unless we change the culture of regulators we will be sleep walking into the next financial crisis’. The regulators have also previously acknowledged this, and initiatives are underway to reform the culture inside the regulatory authorities. Within the Bank of England (encompassing the PRA) and the FCA, initiatives have been designed to facilitate this cultural change: procedures have been introduced to incorporate ‘challenge’ into the supervisory and decision-making processes, with the intention of ensuring that regulators consider the impact of their actions, while also assessing other possibilities that might not be immediately apparent on the facts available. This emphasis did not exist at the time of the crisis. The Bank of England has introduced the ‘One Bank’ Strategic Plan, outlining their focus on issues such as culture, accountability and their research programme. 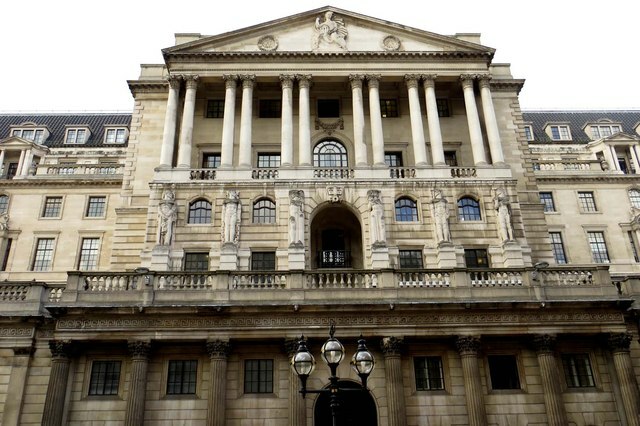 The Bank of England has also introduced further initiatives, designed to encourage those working within the institution to question policies and procedures, and to expose the Bank itself to questioning. Bank Underground, a Bank of England blog, has been created, to encourage staff ‘to share views that challenge – or support – prevailing policy orthodoxies’. An Independent Evaluation Office has been set up within the Bank of England as part of the Bank’s intention to ‘enhance its openness and accountability’, and again, presumably designed to question why policies have been designed in particular ways. The Bank has held what it termed an ‘Open Forum’, intended to improve the transparency of it’s work and incorporate external views into it’s decision-making process. A second event, the ‘Future Forum’ was held at Birmingham Town Hall in October 2016. Further, the Bank of England is applying the Senior Managers Regime, designed to improve the accountability of senior managers within the banking sector, to its own senior managers. These are clearly promising developments in the grand scheme of improving the culture of the Bank of England, and, within it, the PRA. The New City Agenda report states ‘the cultural change initiative seems to be progressing relatively smoothly’, yet, it does also acknowledge that when Bank staff were surveyed only 35% responded favourably to the question: ‘Based on my recent experience, the Bank’s Strategic Plan and initiatives are having a positive impact on the way we work’. The financial crisis highlighted the problems that can arise when regulators do not sufficiently challenge the dominant thinking with the sector. The regulators, therefore, need to operate in a way where they are able to question themselves and their policies, and should be encouraged to do so. Further, they need to open themselves up to external challenge – to allow individuals and organisations with different experiences and perspectives to analyse actions and decisions. At the moment, questions must be asked about the ability of the Bank’s new initiatives to do this. The Independent Evaluation Office, while a step in the right direction, operates under a remit set by the Court of the Bank of England; it cannot independently decide to investigate the activities of the Bank. If the Bank, therefore, does not identify areas that could benefit from challenge, the Independent Evaluation Office will not be able to identify potential problems in the Bank’s approach. 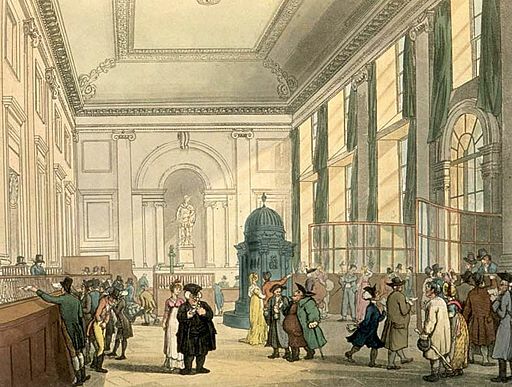 The minutes from meetings of the Court of the Bank of England also illustrate a reluctance to allow individuals from outside the Bank to be involved in this process of assessing the work of the Bank. Despite the Independent Evaluation Office’s intention to involve external individuals in a recent exercise, the Court highlighted that these individuals should be ‘critical friends’ and involved only as ‘consultees’ with ‘no direct involvement in the production of the assessment’. This is worrying given the objectives of the Independent Evaluation Office and the ‘Core Initiatives’ stated in the ‘One Bank’ Strategic Plan: an open and transparent culture is the first objective in this document. 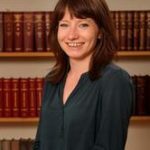 In terms of the Bank Underground blog, it will be difficult to ascertain to what extent the posts do challenge existing orthodoxies, or whether the posts are influential, or even utilised, in discussions and decision-making within the Bank of England. The same criticism can apply to the public engagement activities represented by the Forums held by the Bank. The focus above has been on the work conducted by the Bank of England, but the Bank not alone in this paradigm shift. On 26th October, the FCA published it’s ‘Our future Mission’ consultation paper, outlining the FCA’s approach to the issues that fall within their remit, whilst asking for respondents’ views on the FCA’s approach. The FCA is also clearly concerned about culture and encouraging the proactive and challenging approach it has been championing. Given the criticisms in the New City Agenda report as to the apparent lack of a clear strategy by the FCA when compared to the Bank’s Strategic Plan, it will be interesting to see how this consultation process develops for the FCA. Ultimately, if the institutions charged with oversight of the UK’s banking institutions do not change their culture, there is every risk that there will be a return to the problems of the past. If the regulators are to keep up with the rapid pace of development in the banking sector, they need to ask probing questions that reveal where problems could lie – or at least where individuals do not understand what they’re doing. This means that, if they are to effectively challenge the activities of the banking sector, they also have to be exposed to challenge themselves. This might be uncomfortable, but if the authorities are to identify where those future risks might exist, they need to question their own beliefs and policies. Without engaging in a rigorous assessment of the information available (as well as considering the implications of this information), there is a risk that something will be missed. Reforms should be designed to foster an approach that incorporates critical thinking, welcomes diverse views and allows for dissent throughout the process – from policy-making down to front line supervision. Supervisors should have the confidence to be intrusive – with regards to both their own approaches and those of the regulated sector. This has to be the first step towards delivering a system that is able to identify where future risks might develop. The initiatives outlined above indicate that there have been developments in this area, but they are not enough. Acknowledgements by the Bank, the PRA and the FCA of the need for openness, transparency and effective ‘challenge’ is progress, but changing the culture to put this into practice requires further attention if it is to be successful. This entry was posted in Business and economic policy, Governance and public services and tagged accountability, Bank of England, banking, banking law, culture change, decision-making, FCA, Financial Conduct Authority, financial services, Financial Services Authority, PRA, Prudential Regulation Authority, regulation by policybristol. Bookmark the permalink.